DJI dream has always been to make a drone that exists where engineering, technology, and the needs of the aerial photographer converge. 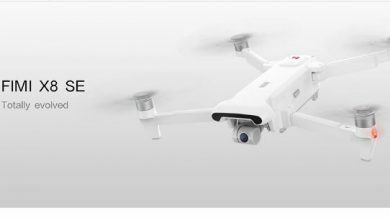 A drone that embodies all of DJI’s advanced, signature technologies, and is able to redefine what is possible for the world of aerial photography. 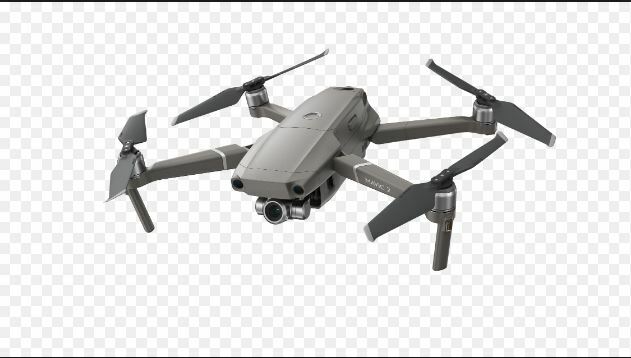 In creating the Mavic 2, DJI was able to make the dream have made this dream come true. 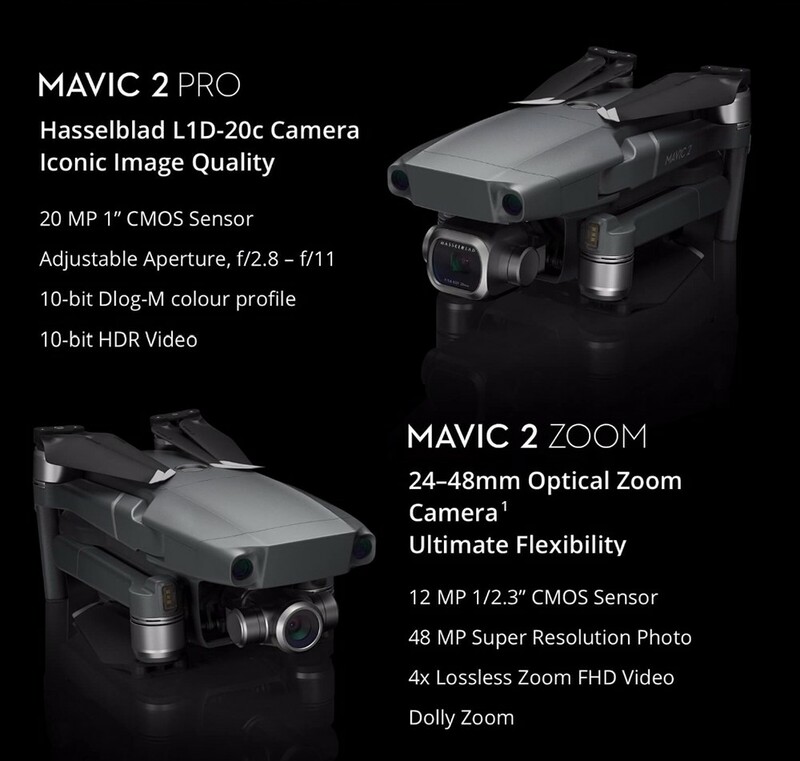 The Mavic 2 pro camera was made in Sweden, Hasselblad cameras are renowned for their iconic ergonomic design, uncompromising image quality, and Swedish craftsmanship. Since 1941, Hasselblad cameras have captured some of the world’s most iconic images – including the first moon landing. Co-engineered in partnership with Hasselblad after two years of tireless research, the Mavic 2 Pro comes equipped with the all-new Hasselblad L1D-20c camera. The L1D-20c possesses Hasselblad’s unique Hasselblad Natural Colour Solution (HNCS) technology, 5 helping users to capture gorgeous 20-megapixel aerial shots in stunning color detail. 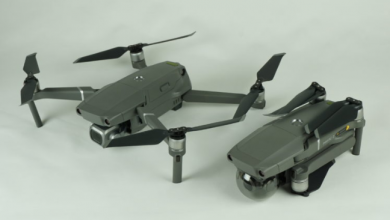 The Mavic 2 Pro supports a 10-bit Dlog-M color profile that yields a higher dynamic range for more flexibility in the grading room. The system records over 1 billion colors (compared to the 16 million colors from traditional 8-bit color coding technologies) and retains more in-depth details in both highlights and shadows. Now you can capture the subtlest gradations at sunset or sunrise, leaving greater space for post-production. 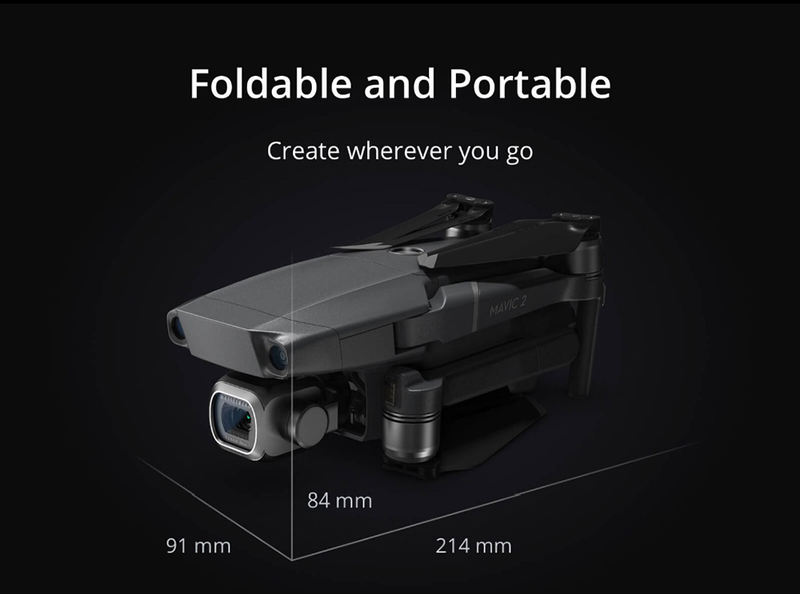 The DJI Mavic 2 pro uses a game-like controller for flights and features 3-axis mechanical gimbal, plus the ability to pilot with your smartphone. This drone hovers accurately both indoors and outdoors thanks to its marvelous 3D vision positioning and GPS / GLONASS. 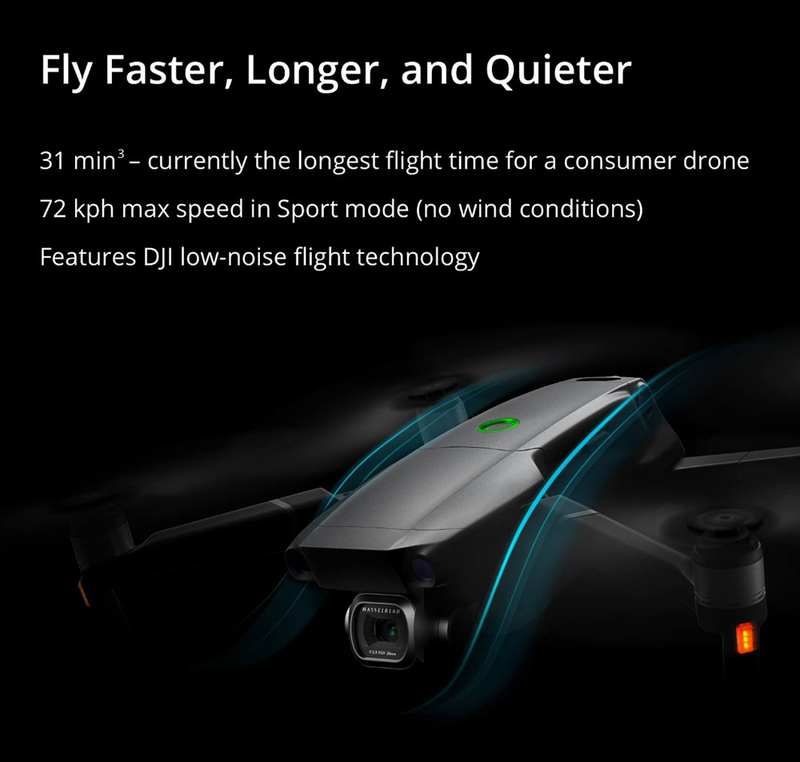 The drone is omnipotent in offering all kinds of modes to meet your demands, such as ActiveTrack, Gesture Mode, Tripod Mode, Sports Mode and so on. You can turn on Gesture Mode and wave at Mavic 2 Zoom to take a selfie, resort to Tripod Mode to slow down the drone indoors (less than 1 m/s), or even keep the drone flying at a certain altitude above the uneven roads while it captures all events on the ground. 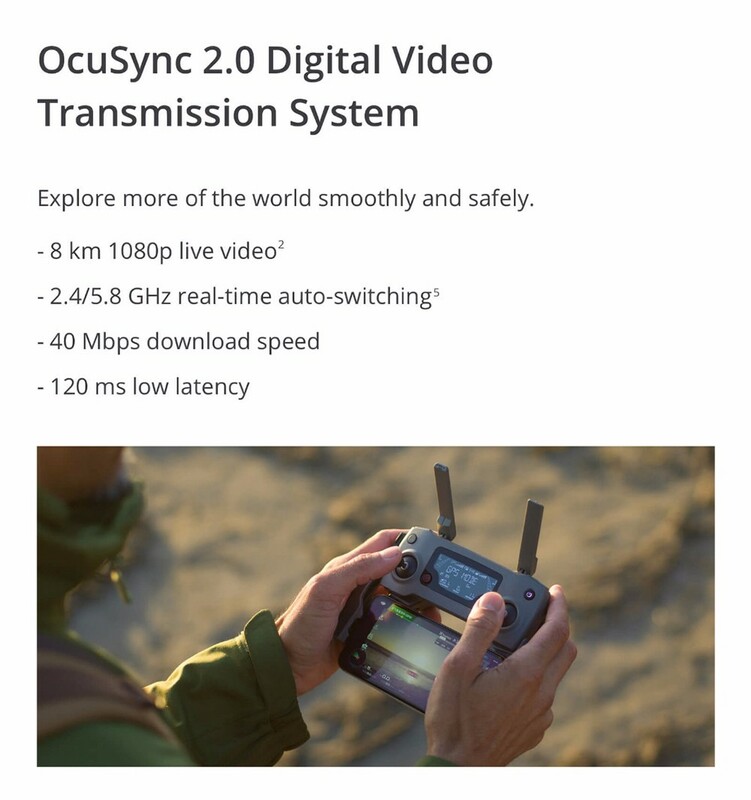 In addition to Tap to Fly via your mobile devices, the drone also supports control without hands. Therefore, after putting on DJI Goggles that come with two 85 degree FOV 1080P screens, you are able to fly and see like a bird. 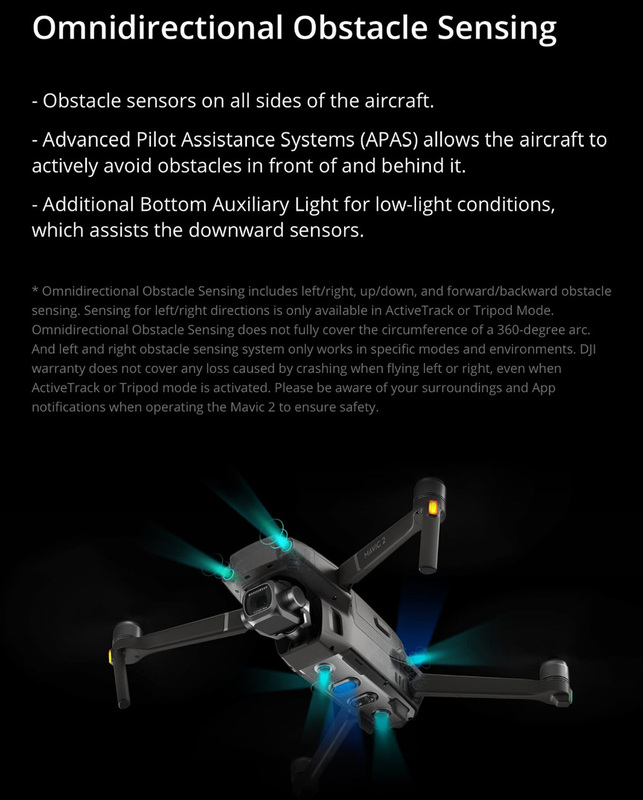 With its Flight Autonomy 2.0, advanced VIO technology, and integrated 15 sensors, this drone effectively avoids obstacle for a safer protection of the camera.